Amitriptyline is a human anti-depressant drug that is used in cats and dogs for behavior problems, and occasionally in animals with itchy skin. The human drug is known as “Elavil.” Amitriptyline is used in cats to treat social anxiety, urine spraying or other inappropriate elimination behaviors. It is used in dogs for separation anxiety, and occasionally for itchiness and chronic pain. Like many other drugs in veterinary medicine, this drug is not FDA approved for use in animals and is not available from a veterinary pharmaceutical manufacturer. Instead, it is compounded by a specialty pharmacy. Give this medication to your pet exactly as your veterinarian prescribes. If you miss giving your pet a dose of amitriptyline, give the next dose as soon as you remember or, if it is close to the next scheduled dose, return to the regular schedule. Do not double dose to catch up. It may take 7-10 days before the full effects of this medication are seen. Side effects such as sleepiness may occur before the drug’s desired effects occur. 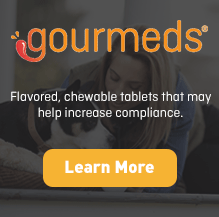 Do not take your pet off this medication abruptly. Usually medications such as amitriptyline are tapered off slowly to prevent “withdrawal” symptoms. 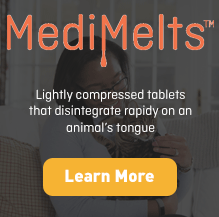 Amitriptyline is very bitter tasting, and giving your pet this medication can sometimes be a challenge depending on your skill and your animal’s personality. 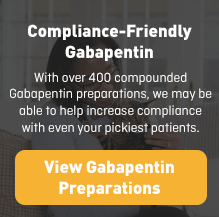 Compounding pharmacies can compound this drug in a variety of flavors and textures, including pastes and suspensions that may be easier to administer. There is also a transdermal dosage form available,which may be helpful in cats. The most common side effects are sedation, constipation and difficulty passing urine. Less common side effects include excitability or aggression, change in heart rhythm, bone marrow suppression, vomiting, diarrhea, loss of appetite, staggering and disorientation. Keep this and all drugs out of reach of children. Amitriptyline is a prescription drug and should be used according to your veterinarian’s directions. It should only be given to the animal for which it was prescribed. Do not give this medication to a person. Amitriptyline may lower the seizure threshold. 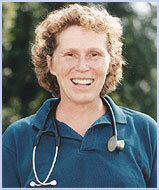 Tell your veterinarian if your pet has a history of seizures or epilepsy. Amitriptyline has been shown to cause birth defects. It should be avoided during pregnancy unless the benefits outweigh the possible risks. Contact your veterinarian if your pet becomes pregnant while taking amitriptylline. Amitriptyline is used with caution in animals with diabetes, abnormal thyroid function, liver disease, kidney disease, eye problems (KCS or glaucoma) and abnormal heart rhythm. Be sure to review with your veterinarian any medications or supplements your pet may be receiving. Because there is much more experience with amitriptyline use in humans, some of these possible drug interactions are mentioned due to experience in humans, but they have not been studied in animals. Behavioral medicine is a specialty, and although some of the drugs listed below may be used with amitriptyline, your veterinarian should be very familiar with their use and will need to monitor your pet closely. Serotonin syndrome is a rare but potentially life-threatening drug reaction caused by the accumulation of the brain chemical, serotonin. This rarely occurs in animals but could occur if an animal is receiving amitriptyline with any of the following drugs: MAO inhibitors including amitraz (found in some flea/tick collars and dips) and selegiline, buspirone, isoniazid, pentazocine and selective serotonin re-uptake inhibitors (such as fluoxetine). Other potential drug interactions include: cimetidine, diazepam, cisapride, thyroid medications, heart medications, drugs that change heart rhythm, drugs which slow the GI tract, sedatives and any drug that lowers the seizure threshold. Different strengths or dosage forms of amitriptyline may have different storage requirements. Read the labeling or ask your pharmacist for the storage requirements of the prescription you receive.